Allow me to introduce you to the product of my indecisiveness — also known as pumpkin banana bread. Because why force yourself to decide between pumpkin bread and banana bread when you can have both in one ridiculously soft and tender loaf, amiright? And why go through the hassle of making two separate loaves when when you can combine the two and have the best of both worlds? That, my friends, is what we call winning at life. Actually… that’s what we call spur-of-the-moment “toss everything into a bowl and hope for the best” baking experiments gone [mercufully] right… but it sounds so much better when I act like I actually planned for things to turn out that way. The truth is that I was originally planning on sharing a pumpkin pancake recipe with you guys today… until a few things got in the way of my carefully scribbled out plans. First, the weather. I don’t know how things are looking in your neck of the woods but we’ve had a handful of cold and rainy fall-like days that have made a warm and toasty kitchen feel that much more inviting. And, yes, I know you make pancakes in the kitchen as well, but the oven has always felt infinitely more comforting than the stove. And it produces infinitely tastier things… just saying. Then there was the issue of finding myself in the unfortunate position of having to use up both the leftovers from the can of pumpkin I opened earlier and a bunch of overripe bananas that the fruit flies were attacking. Can we talk about pumpkin can sizes for a second? Because they seriously need to start selling pumpkin in different sized cans so you can buy as much as you need without having to worry about having a bunch of extra squash hanging around after everything is said and done. 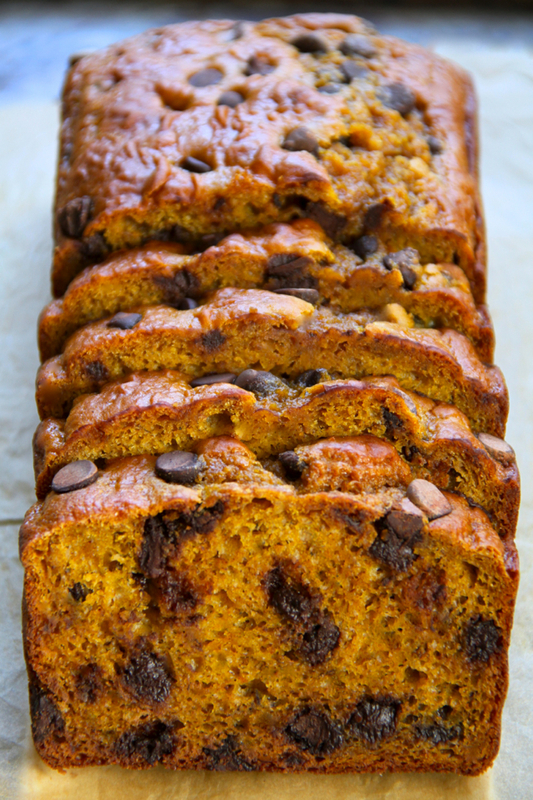 Greek yogurt pumpkin banana bread. 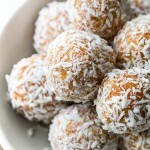 A deliciously healthy snack that kills two birds with one stone and tastes pretty freaking fabulous as a result. Not quite pumpkin bread, not quite banana bread, it combines hints of both to create a soft and tender bread that’s subtly sweet, subtly spiced, and loaded with flavour. And if that wasn’t enough, then what about the fact that it’s made without butter or oil and only 1/4 cup of refined sugar? A lot of pumpkin/banana breads call for epic amounts of oil and sugar to help make them moist and flavourful, but I’ve found that you can cut back on both dramatically without sacrificing on flavour by making a few simple swaps; namely, by adding Greek yogurt and maple syrup. 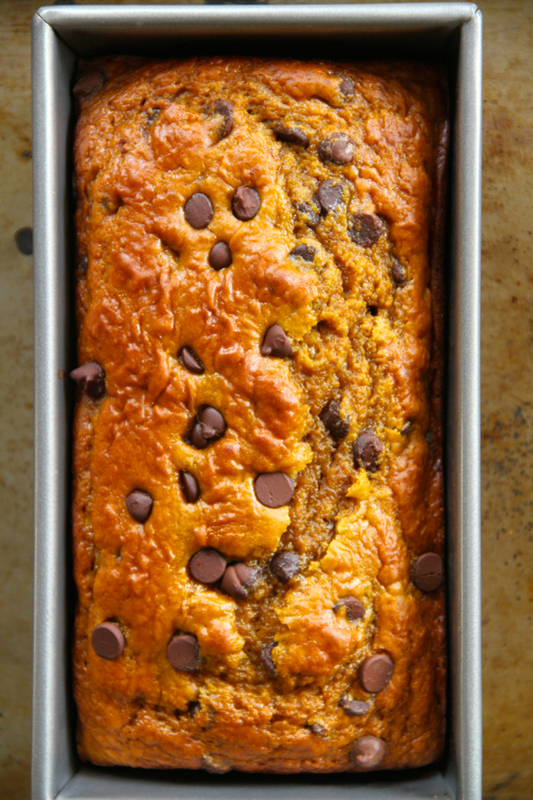 So if you’re looking for a healthy and delicious snack — or a way to use up leftover pumpkin and/or overripe bananas — give this pumpkin banana bread a try! 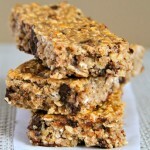 Optional add-ins: 1/2 cup (45 g) chocolate chips/raisins/nuts/etc. 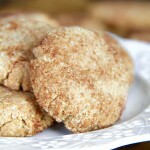 * You could also make this with whole wheat pastry flour or sub our 1/2 of the all-purpose with whole wheat. Looking for more recipes using Greek yogurt? Try one of these! What’s your favourite way to use up pumpkin? « . link love 9/13 . If I can find a loaf pan in my pantry, I am making this today to bring to my aunt for the holidays! It’s cool out this morning, as in, like 60 degrees but supposed to warm up still this week in the 80’s. I am ready for the weather to stay all day as it is this morning! 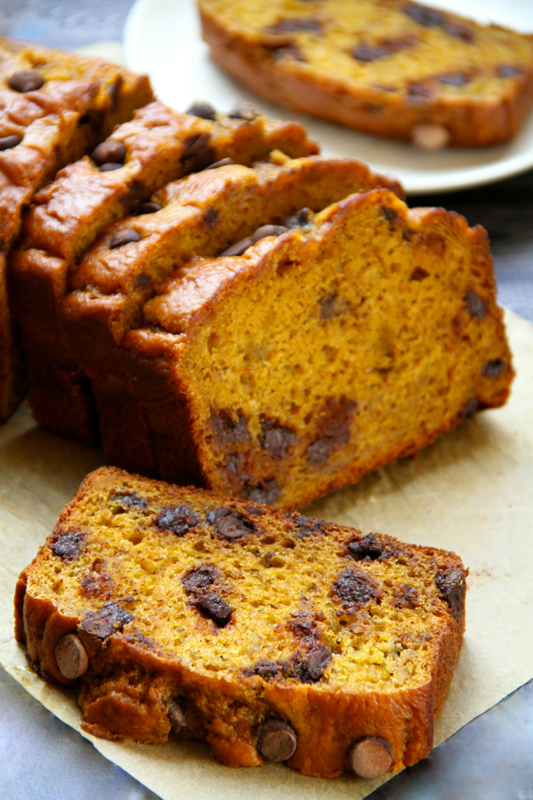 You can never go wrong with banana or pumpkin bread! Both add such an amazing flavour to quick breads. If I have leftover pumpkin, I just put spoonfuls in my dog’s food until it’s gone. It’s supposed to be good for dog’s tummies. Though maybe I should be making this and not giving her as much pumpkin goodness. That’s actually a great idea and I’d probably do it as well if I had a dog at home. Ummmm, yeah. I’ll eat that. All of it! We just devoured my last pumpkin creation. Now it’s time for this bad boy. And wouldn’t you know I have one perfectly ripe banana just begging to be put into this delicousness?!?! It’s fate! I hope you like it if you make it, Angela! Oh I’m sure this is amazing! I’m not a huge pumpkin person but I do love me some pumpkin loaf. And add in chocolate and I’m hooked! I’ll admit to not being -crazy- crazy about pumpkin, but I do love what it does to quick breads. And the banana flavour actually shines through a lot more than the pumpkin does. While I still can’t get full used to sweet pumpkin anything the bananas and [totally not optional, right?] chocolate chips lured me in here. Call me the odd one out here but that’s what I am in anyway for being German ;): we don’t grow up with pumpkin desserts over here. So savoury is where it’s at for me. I’d use the remainder of any can of pumpkin in dishes like curry or stews – it might work everywhere you’d usually use tomato sauce. Hm … I should test that assumption once I stop being lazy and make my own pumpkin puree. 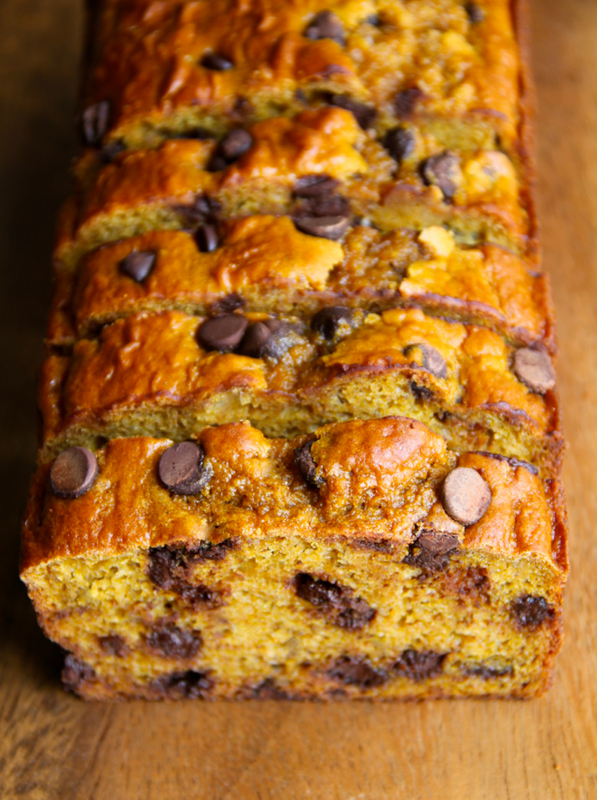 OHHEEEMMMMMGEEE- pumpkin + banana + chocolate chips – butter = winning at life indeed! If only Math made this much sense I would have become an accountant! Amanda – this loaf looks so incredibly, amazingly, fantabulously moist and decadent! Heehee! Thanks Shashi! That’s probably the only kind of math I can get behind as well! Haha! That’s my kind of logic as well. Because yeah… it’s kind of hard to stop. YAY!! Nailed it … you combined my two favorite things just in time for lots of fall baking 🙂 Thank you so much for sharing! I’m looking forward to pumpkin pancakes – but this just made my day! I’ve been all about Pumpkin bread lately. I love how dense it is. I would not have Thought to mix greek yogurt though. I might have to try it sometime! uh, yeah, I want this. I’m totally drooling over these pics. Totally pinning for this weekend since I actually have all of those ingredients! We’re back to more summery weather here, but soon! Soon it’ll feel like fall. Not gonna lie — totally had a couple slices with my coffee this morning. Something about pumpkin, chocolate, and coffee that tastes kind of amazing. This is like a mash-up of all my favorite fall flavors. Well, and apple cinnamon. 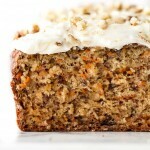 So with you on sizing – I make lots of pumpkin oatmeal bakes and cakes after making anything pumpkin just to use it up! 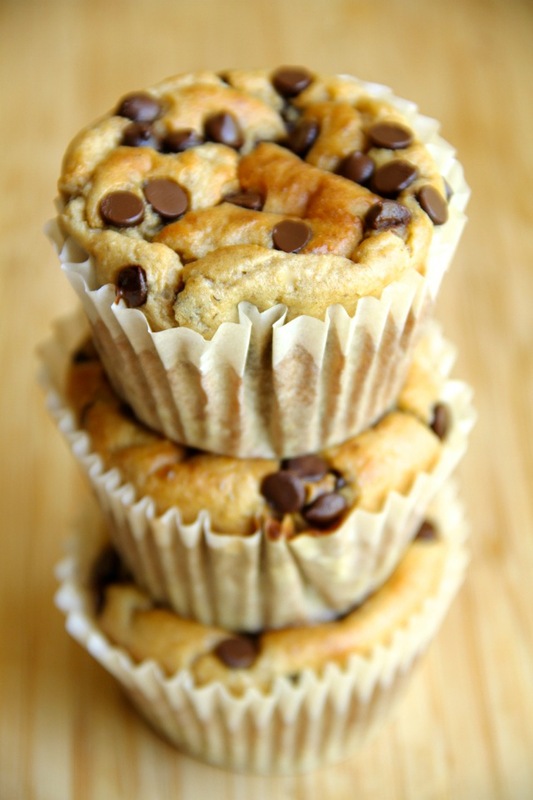 So let’s see – bananas, pumpkin AND chocolate chips? Yep, it’s calling to me! 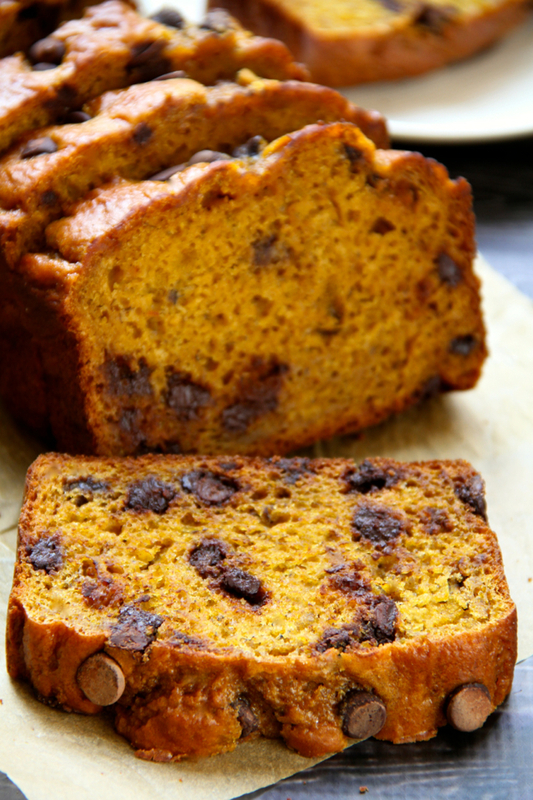 I haven’t had a good pumpkin bread in so long, and although I would need to make slight adjustments because of my gluten intolerance, I am so all over this bread! You could probably just use gluten-free all-purpose flour instead. Hope you like it is you try it, lady! YUM. I will definitely be making this! I made pancakes this morning with 1/2 cup pumpkin + 1 egg + 1 scoop protein powder. They were tasty and a great way to use that “leftover” pumpkin. The weather here is crisp, cool mornings and evenings, but the afternoons are warmed by the sun. It’s a great time of year! This is definitely one of my favourite times of the year as well! Hope you like it if you make it, Kate! YES!!!! Pumpkin and banana go so well together! I love this. Up until yesterday, we were having days that were in the 80s, but now we are more on the fall side, cold mornings and evenings, mid 60s, partly cloudy partly sunny, and sometimes overcast. Haha, I totally agree about the canned pumpkin sizes! I currently have a partial in the refrigerator…although I have my eye on a couple recipes, so this one will probably have to wait until next time. 🙂 But it will not be forgotten! Brrrr… That is cold for September! I hope you get your fall. It would be cruel and unusual punishment if you missed out! Genius!! Two of my favorite breads morphed into one. At home I actually have two 28 oz. cans of pumpkin— talk about inconvenient! But that just means I can make this bread like, eight times? Whenever I have extra pumpkin (or bananas), I always just stick it in the freezer to use later. This, however, is a more delicious solution! I don’t know why I never think to freeze things like this. I freeze any extra baked goods I have lying around, but never the ingredients. Derp. 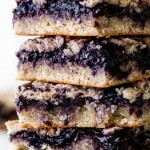 YOu really are the queen of using greek yogurt in fantastic-looking baked goods! In Northern Cali, the weather has been crazy hot lately – but today we’re loving some rain! That looks so amazing! I will have to try it very soon! Hope you like it if you do, Jenn! 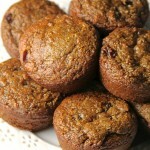 I love finding lightened up recipes especially when it includes pumpkin. Thanks for sharing! I really used to like your website-but I am finding that you post the same recipes over and over again. This looks so good!I can deal with a little pumpkin in my bread especially as fall is coming. Um I’d say your indecisiveness was more like a stroke of genius! It looks perfect! Whatever pumpkin I don’t use I freeze. 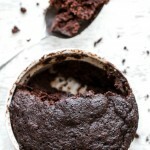 It freezes really well and I do it in silicone muffin trays (1/4 cup measurements) and then once frozen I pop out, put in a ziplock bag and I have individual portions when I need it! I cannot wait for it to start getting warmer here, I am ready for some heat! You… are a lifesaver. That’s all sorts of genius and I’ll definitely be doing that from now on! This looks amazing even if it does have pumpkin. It does have my favorite fruit though: bananas. I’d probably try to stick raspberries in here because I’m weird and I love raspberries. So excited to make this! I’m actually mixing up the ingredients now, but the vanilla measurement is not listed in the ingredients. Can you help? Oops! It’s just 1 tsp. April. I’ll have to go in and add it. Thank you so much! I made them as mini loaves. I pulled them out of the oven a few minutes ago and they not only smell and look wonderful, but taste amazing, too! Yay!!! Not even kidding, this is one of the most beautiful loaves ever. Save me a slice, please. Figured I would leave a comment on here, too, even though I’ve raved about your bread on IG! This bread is AMAZING. I’ve never been a fan of Greek yogurt, so I’m glad I have finally found some use for it by baking with it. I made this bread last night and added some milk chocolate chips — the end result? A moist, delicious bread that had just the right amount of sweetness to satisfy my sweet tooth, while still being completely healthy (minus the chocolate chips!) 😉 I’m so happy I came across your site! I have a huge leftover can of pumpkin puree, so I’ll be trying your cookies soon, that you just posted. This was amazing!!! I made it last night and brought it to work. Huge hit, very excellent. I’m going to make it again for sure. Thank you!! I’m glad you liked it, Lisa! Thanks so much for letting me know! 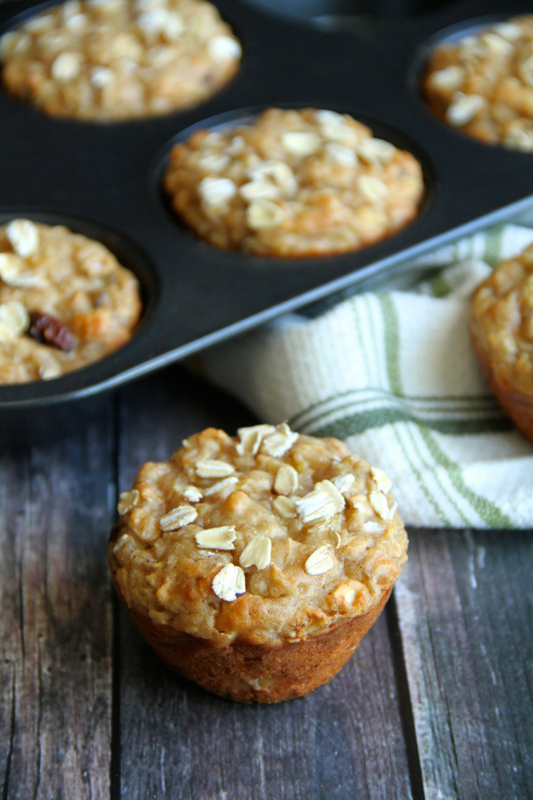 A healthy pumpkin-banana snack is all I’ve been craving, and this is absolutely perfect! 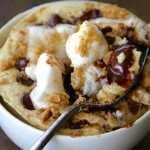 so excited to make this, but I’m wondering, the maple syrup is substituting for a sweet taste right? Would it be possible to substitute applesauce in place of the syrup? It would work as far as texture goes, but applesauce isn’t as sweet as maple syrup so the bread would be a lot less sweet as a result. It all depends on how sweet you like things! Just made this…it was amazing. Thanks for brightening up a grey and rainy day Amanda! And fueling me for what is looking to be a very grey and rainy 1/2 marathon Sunday. Mm mm, this bread is baking away in my oven right now and I can’t wait until it’s ready! Two things I usually do with the leftover pumpkin are make Pumpkin Pie Overnight Oats and freeze some in an ice cube tray to give to my dog as a treat. It’s a win-win for both of us so we’re never unhappy about the leftover purée! Thanks for the great recipe! Great tip about freezing pumpkin, Diana! I hope you enjoyed the bread. LOVED this & so did my whole family- from my sceptical hubbs to my picky toddler, we all loved it! I used only WW pastry flour & 2 TB honey+2 TB maple syrup for sweetener, which was perfect for us. I honestly could do with out the chocolate chips & just do all walnuts but my family probably wouldn’t agree. I’ll be making this again soon…like, tonight soon 🙂 thank you! I’m so glad you and your family enjoyed it, Farah! Thank you for taking the time to leave such a wonderful comment! I made this today but made it into muffins rather than bread. 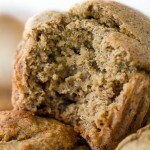 The taste was good, but with no oil in the recipe it stuck to the paper muffin liners like crazy! Just a FYI in case anyone else wanted to try muffins- it didn’t turn out so good. 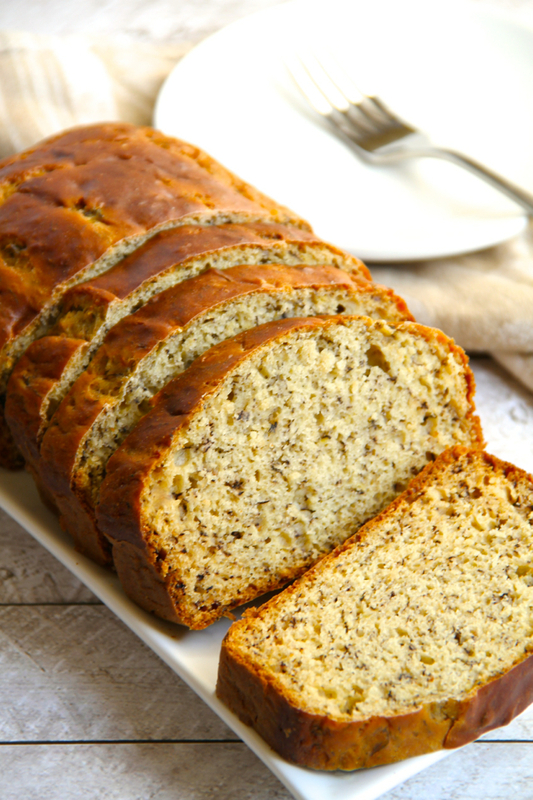 It’s hard to believe that banana bread without oil will be moist, but this recipe is very moist and tasty. I made it into two smaller loaf pans (one to keep and one to share). Based on previous reviews I buttered and floured both pans so the loaves released smoothly. The banana and pumpkin flavors blended together beautifully. 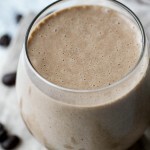 I’ll probably reduce the cinnamon just a bit since there are so many flavors intermingling, but otherwise this recipe is a keeper! Note: I planned to give this 4 stars but had to give it 5 because the system would not allow me to change the star rating. Interesting. Can I leave banana out? Not a fan. Hi, hope you are well.. 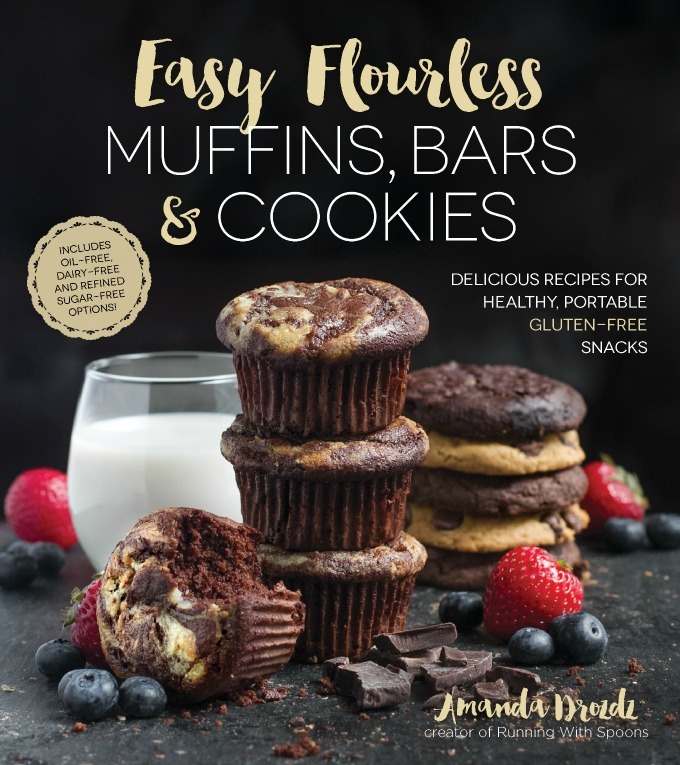 Thank you to share with us your great recipes. 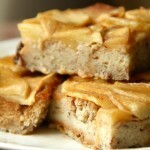 I have to try this recipe so please can you give the quantities in grs.. Here in France we bake and cook in grs. Hi Nini. All of my newer recipes have metric conversions, but I haven’t gotten around to converting all of my older ones. I just did it for this recipe. I hope you enjoy it! “All of my newer recipes have metric conversions…” I noticed and I really really appreciate… This demonstrates the quality of your commitment to your blog👍🏻 Now it’s time to bake, right ? Hi! I just tried this recipe and it turned out great! Moist, flavorful, and right texture. I’ll definitely be making it again. However I did have one problem: The loaf came out beautiful right out of the oven but as it was left in the loaf pan to cool for about 10-15 minutes, the whole loaf sank/fell (not in the middle but the whole loaf) in height. Do you know what may have caused that? Hi Blues! There could actually be a few reasons that your loaf sank. Was your baking soda and baking powder fresh? Those only tend to be good for a few months after they’ve been opened, and older products won’t be as effective at giving you nice tall bread. Another reason might have been the ratio of wet to dry ingredients. I use a kitchen scale to measure out ingredients so that they’re always exact, especially when working with a lot of wet ingredients like this recipe has. If the batter feels too runny to you, you can try adding up to 1/4 cup of flour to the recipe. Another reason might just be variation in ovens, which might have resulted in the bread not being cooked for long enough. Were you using a gas oven? I’ve found that those can be tricky sometimes. I had the exact same problem! Looked beautiful, then after a few minutes it completely sank. I used a scale for all the measurements. And my soda and powder are fresh…. Hmm… I’ve made many loaves in the past, including ones with yogurt and no oil, and never seen this happen. I’m bummed. Hope it still tastes good, I’m sure it will! Hi, I just made this bread and it is very delicious and my house smells so wonderful! I am in Northern CA, so it really isn’t very fall-like yet, but this bread makes if feel like fall. I used whole wheat flour instead of white and used 1/2 cup of coconut palm sugar instead of 1/4 cup brown sugar and 1/4 cup of maple syrup (I don’t like maple), used 2 teaspoons of pumpkin pie spice instead of the different spices listed and I added dried fruit juice sweetened cranberries. 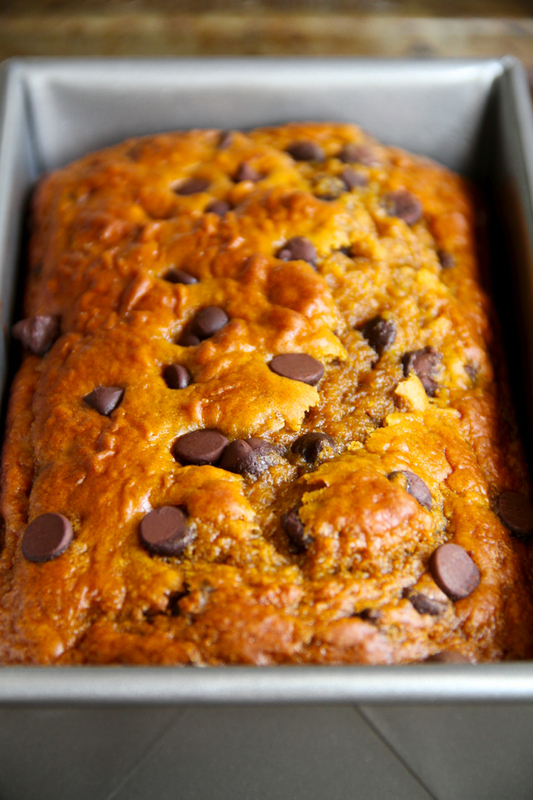 I had a very ripe banana but I kept seeing pumpkin all over the stores so I thought I wonder if anyone has tried to make pumpkin-banana bread, and I found this recipe. I will say it is more “bread-like” than most quick breads which are more cake-like. I wonder if it is the omittance of oil? I’m glad you enjoyed it, Linda! And thanks so much for taking the time to share your substitutions. The bread is definitely meant to be on the healthier side, which would be why it was more bread-y. 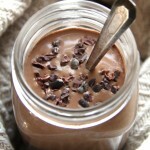 Thus recipe looks great but I just wanted to ask is it required to use Greek yogurt or can I use regular plain yogurt? Regular yogurt should work as well, Stephanie! Looks delicious!! Do you think it’s ok to skip brown sugar or replace it with a low calorie sweetener? Thanks! I don’t have a lot of experience when it comes to baking with low-calorie sweeteners, but as long as it behaves like brown sugar, it should be totally fine! Will this hold up to freezing? I would like to take this along on a trip next weekend, but I won’t have time to make it right before we go. I know a lot of quick breads are freezer-friendly.